I don't know what it is, but marble is a thing for me right now. (And watching how marble is actually harvested from the mountainside is simply beautiful.) I can't get enough of it! There's something about the nature-made material with visual streaks of imperfections made perfect with a little polish. Kind of like life, right?! 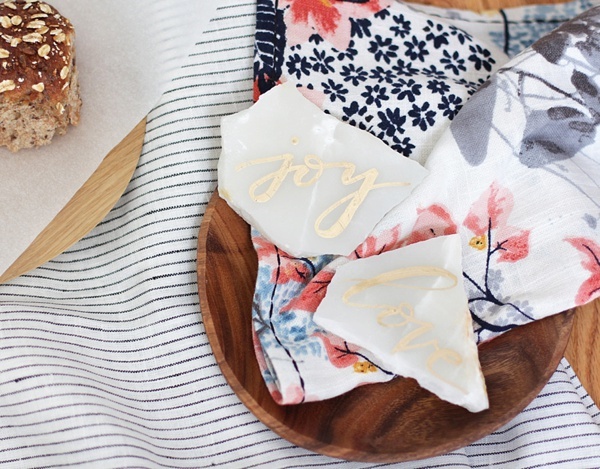 A few months ago, I started eyeing marble home decor, and it has only snowballed into an entertaining tray, earrings, and a necklace... and it shows no sign of stopping anytime soon, especially when I started seeing it quietly invade our wedding world. Today, I'm sharing my favorites in a roundup of some of the best handmade marble wedding details from around the web! Start the marble theme off right with a note of gratitude! 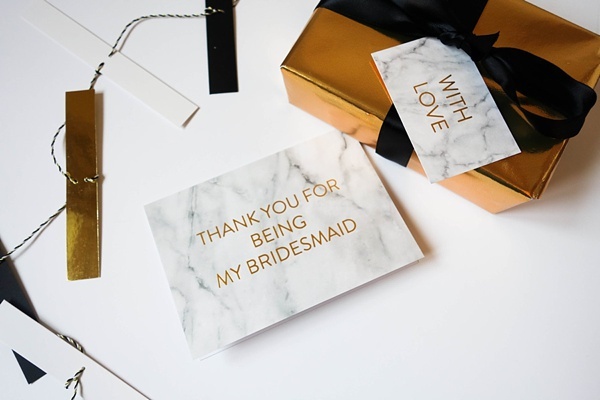 These gold-foiled specialty thank you cards are a gorgeous way to tie in this texture and metallic... all the while telling your besties how much you love them! 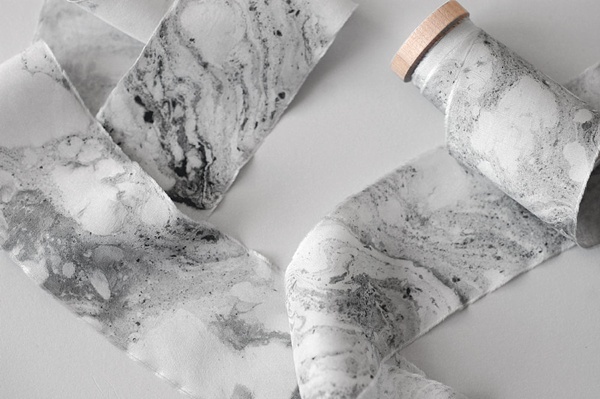 Marble for days, y'all. 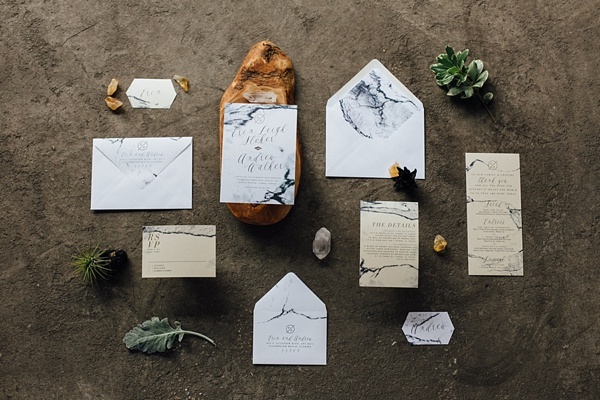 A wedding theme comes to live through your stationery, so it's only proper to have marble-inspired paper goods set the stage for what your guests can expect on the wedding day! And it just makes for extra pretty leftovers because you know you'll have quite a few of those! 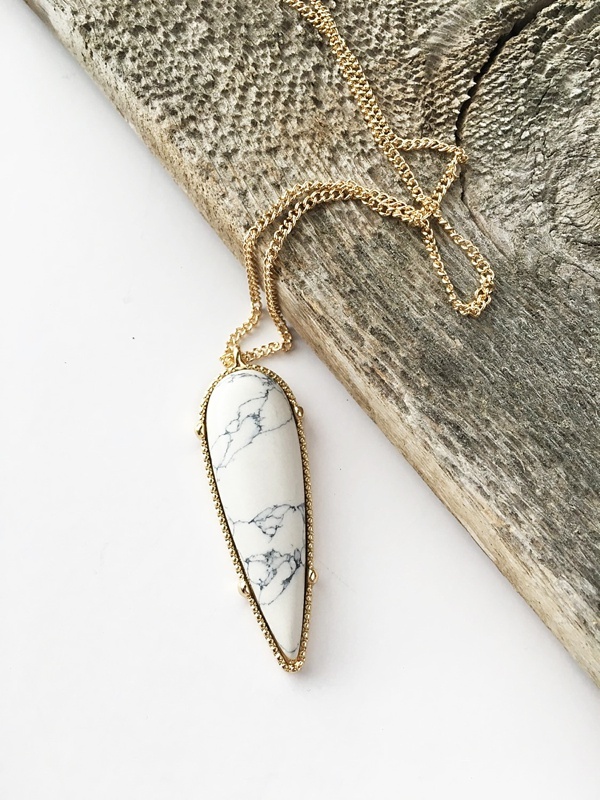 Whether you have one lady or four with you by your side on the big day, these beautiful faux marble necklaces are a great accessory to share as a thank you or even for the wedding day itself if marble is your theme inspiration! 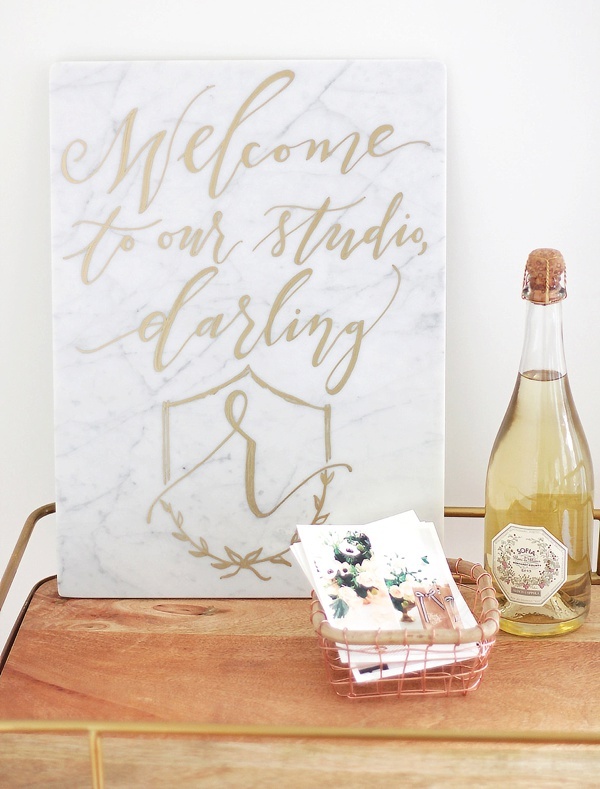 Use them as wedding place cards or tiny signs, but whatever you do decide, these itty bitty marble beauties are made perfect with a calligrapher's touch in any metallic ink of your choosing. Repurpose them after the wedding day by turning them upside down and putting them in a coffee table centerpiece or planter! No matter where you get ready, the wedding day clutch is a must. 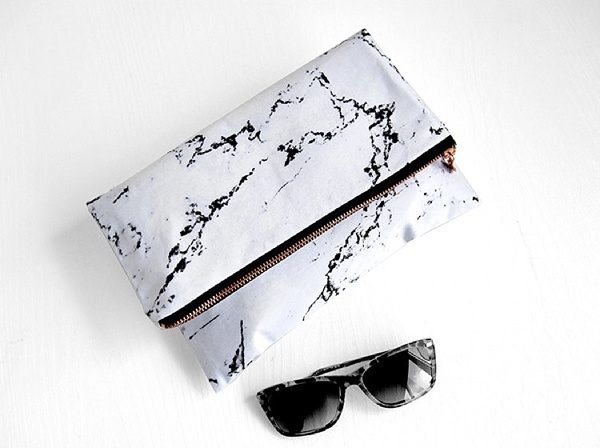 And if you're marbling it up as your wedding theme or going the modern monochromatic route, these black-and-white marble clutches are perfect to tuck away the necessities for the whole celebration.